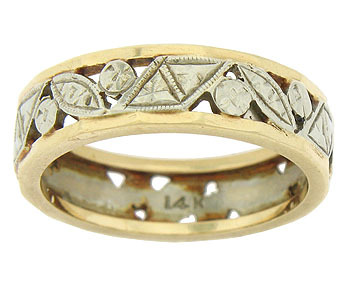 An abstract 14K white gold cutwork of triangular and marquis shaped leaves and round faceted flowers covers the surface of this vintage wedding band. A pair of faceted yellow gold bands frames the sparkly floral ribbon. 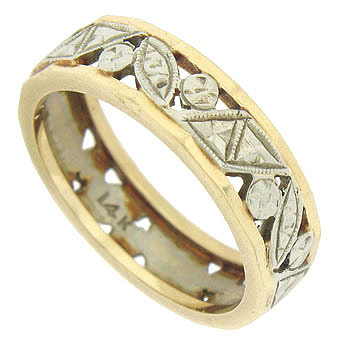 The Retro Modern ring measures 5.55 mm in width. Circa: 1940. Size 6 1/2. We cannot re-size.